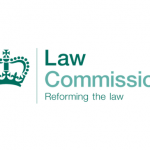 Later this month the Judicial Appointments Commission (JAC) will be launching the next Recorder competition, as well as the first competition in five years to identify candidates to recommend for appointment as Salaried Employment Judges. Shortly thereafter, a competition will launch to select candidates for the post of Assistant Judge Advocates General. The next Recorder competition will seek to identify around 150 candidates to fill vacancies across all circuits in England and Wales. Applications are invited from solicitors and barristers with at least 7 years post-qualification legal experience who can offer a reasonable length of service, usually of 4 years, before the statutory retirement age of 70. This competition is due to launch on 19 June. The competency framework and details of the application process are available now on the JAC website. The JAC has been asked to identify 54 candidates to recommend for the post of Salaried Employment Judge with opportunities across all regions in England and Wales. Applications are invited from those with 5 years post qualification experience as a solicitor or barrister in England and Wales; a Fellow of the Chartered Institute of Legal Executives; an advocate or solicitor in Scotland; or a barrister or solicitor in Northern Ireland. In addition, the Lord Chancellor expects candidates to have current or previous substantial experience of Employment Law and to be able to offer a reasonable length of service, usually of 5 years, before the statutory retirement age of 70. Previous judicial experience is not a requirement. Those interested in applying may wish to read an article about the forthcoming competition written by Judge Brian Doyle, President of the Employment Tribunals (England and Wales). This competition is due to launch on 18 June. The competency framework and details of the application process are available now on the JAC website. The JAC has been asked to identify 2 candidates for the post of Assistant Judge Advocate General. The Judge Advocate General is Head of the Service Justice System. There is also a Vice-Judge Advocate General and several Assistant Judge Advocate Generals all of whom are civilians. The Court Martial is, for many, the most familiar aspect of the Service Justice System. It has global jurisdiction over all service personnel and civilians subject to service discipline, and hears all types of criminal cases including murder and serious sexual offences. Applications are invited from those with 5 years post qualification legal experience as a solicitor or barrister in England and Wales; an advocate or solicitor in Scotland; or a member of the Bar in Northern Ireland. Candidates are also expected to offer a reasonable length of service, usually of 5 years, before the statutory retirement age of 70, and to have previous judicial experience in a salaried capacity or in a fee-paid capacity having completed 30 sitting days. This exercise is due to launch in July; the exact date is yet to be confirmed. Those interested in applying are advised to visit the webpage and sign up to receive alerts to be notified as and when further details are confirmed.